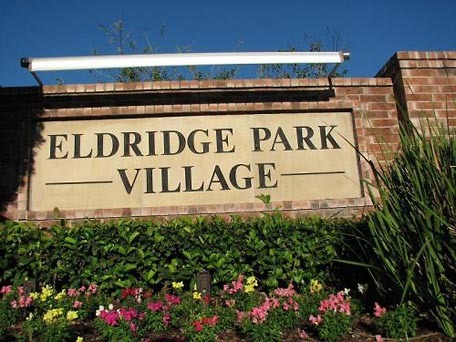 Eldridge Park Village Community is located in Sugar land, Texas and consists of 228 single family homes. The community has a five member board of directors that demonstrate leadership and concern for their neighborhood. Amenities in the community include a pocket park with playground equipment and a walking trail. The board is working on enhancing their community by providing a face lift to the entrance to their neighborhood. They are in the planning stages of improving the exterior fence in the community, and are expected to finalize plans soon. The board is also working on improving their deed restriction violations and encouraging the residents to make corrections to noted violations, in order to keep their neighborhood looking its best. The collection rate in the community remains high at 97%. Congratulations to the board members, and volunteers of the Eldridge Park Village community for the hard work they do to keep their neighborhood looking good and running smoothly.